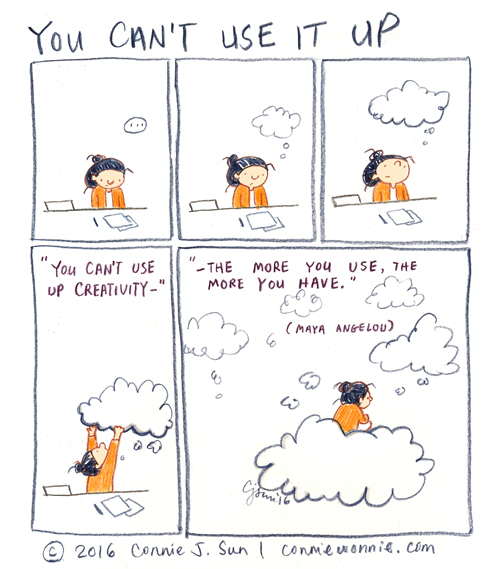 I draw a lot of inspiration from this quote from Maya Angelou: "You can't use up creativity. The more you use, the more you have." And if you feel you have used up your creativity, you just need to take a break and do something else for awhile. sound like an idea, you share it, it becomes bigger and you still have it. excellent comic or graphic artistry to sound all grown up. Update: I'm on a Boat!